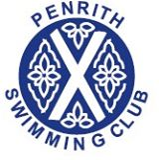 PENRITH Swimming Club members have taken part in various competitions throughout June. At the start of this month, Jake Fabi and Caitlin Paulson competed in Manchester at the north west regional gala. This took place over two weekends, with swimmers having achieved the qualifying times for the events. Kes Fountain and Lucy Oliver represented the club at Copeland gala. They both swam well in a very hot atmosphere, Lucy bringing home second place in the 50m butterfly and Kes taking first place in the 50m butterfly at the end of a very close race. For a final round of the Cumbria inter-club “Diddy League”, Penrith travelled to Kendal and competed against the host club, Cockermouth and Copeland. The Diddy League is a team competition for the younger swimmers, aged nine to 11, some of whom are representing the club for the first time. As in the previous two heats, swimmers took part in races over 50m, freestyle, butterfly, backstroke and breaststroke and team relays of 25m in each stroke plus a medley race. The points score on the day saw Penrith placed third in this heat, with a highly respectable score of 98. The points totals from all three rounds have been tallied and following a countback on first and second places Penrith have qualified for the final, which takes place at Carlisle in October. “Congratulations to all the swimmers from Penrith Swimming Club who have taken part over the three rounds and worked hard to secure a place in the final,” said a spokesman.